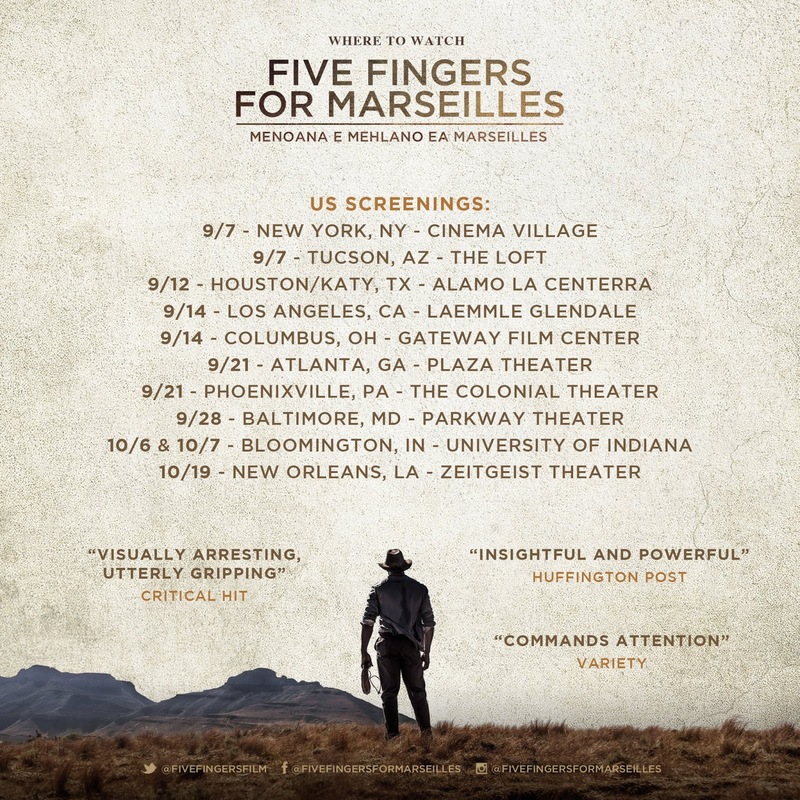 Pistol-packing acclaimed South African western "Five Fingers for Marseilles," a thrilling tale that takes its place alongside classics such as "Once Upon a Time in the West" and contemporaries like "The Proposition" and "No Country for Old Men," stares down the barrel of a national theatrical release September 7. From filmmaker Michael Matthews and screenwriter Sean Drummond comes a thrilling western set against the backdrop of post-Apartheid South Africa. Starring Vuyo Dabula, Hamilton Dhlamini, Zethu Dlomo, Kenneth Nkosi, Mduduzi Mabaso, Aubrey Poolo, Lizwi Vilakazi, Warren Masemola, Dean Fourie, Anthony Oseyemi, Brendon Daniels and Jerry Mofokeng, "Five Fingers for Masrseilles" opens September 7 -across the US via Uncork’d Entertainment.